Property 5: Lakeview Lodge Karapiro - Huntington. 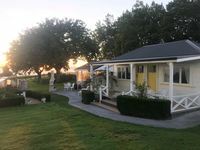 Property 6: Lakeview Lodge Karapiro - Hamptons. Everything you need and in beautiful surroundings. Perfect for couple or families.